100% Natural Therapeutic Warming Ointment for Myofascial Release, Deep Tissue Work and Trigger Point Therapy. 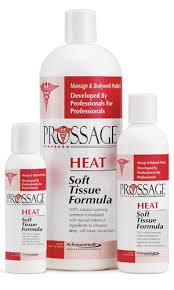 ““ ““PROSSAGE â¢ Heat is an area specific warming ointment, not an all over bodywork and massage oil. PROSSAGE â¢ is a great therapy aid! The 100% all natural two drop solution that will forever change the way you approach your soft tissue modalities. ““PROSSAGEâ¢ Heat is formulated with natural botanical ingredients to create a smooth, non-slip and controllable glide. Biofreeze pain reliever gel is the number one clinically used and recommended topical analgesic (muscle rub).Simply apply to affected areas for fast and effective relief of pain related to sore muscles, muscle sprains, muscle strains, sore joints, arthritis, and bruises.“â¢With USP-grade menthol as the active ingredient, Biofreeze provides highly effective short term pain relief promoting faster recovery.“â¢Biofreeze has a new, improved formula that is preferred by four of out five topical analgesic users.“â¢For use in treatment rooms or home use. 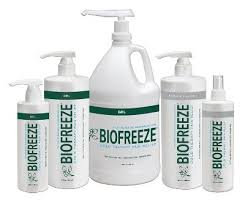 Ilex and Menthol are 2 beneficial ingredients that are contained in the formula of BioFreeze Spray. Recommended for pain-relief and cited as a miracle healer, this amazing product has a combination of all-natural ingredients that relax your muscles with chills before sending healing heat to soothe and repair the ailments. ““But what do the key ingredients actually do? ““Ilex is a South African concoction of berries from holly shrubs, and it is commonly used as a local medicine for pains and aches, whereas menthol is noticeable by the minty scent that delivers a cooling sensation to the area. 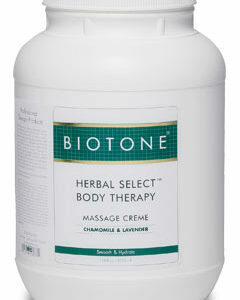 Both of these ingredients mesh to relieve arthritic pain or aches caused by sports injuries. ““The BioFreeze Spray – 16 oz is in a convenient bottle, making it simple to carry around in your back-pocket or purse for yourself or for house-calls. Patients will love how fast-acting the pain-reliever is â and the icy-hot sensations are scintillating to your nerves. ““Note: Wash your hands thoroughly after applying BioFreeze as the affects are long lasting. Item#-UNI-C476T.Available in a gallon.hydrating sea kelp,aloe vera,and fragrant,soothing botanicals.nongreasy texture,easy slip.“PLEASE NOTE-Gallon Sizes are limited 2 gallons maximum per order in shipment, whether its 2 gallons of the same item or gallons of mixed products throughout the order.If you exceed the maximum of 2 gallons of the same item or mixed products per order, then the order will ship based upon weight of shipment and will have additional shipping charges that will not show up on your internet order but will be additional to your order and appear on your invoice recieved from us.This will overide our “free shipping policy over 99.00 and up. Item#-UNI-BF01.The 4 fl oz Biofreeze gel tube with hands-free applicator allows the user to apply the gel either hands-free or hands-on. The delicate sponge applicator is perfect for even application of Biofreeze on sore joints, especially smaller joints like the knuckles.